By studying graphic design abroad, you will learn to create visual concepts, ideas and identities both by hand and using computer software. 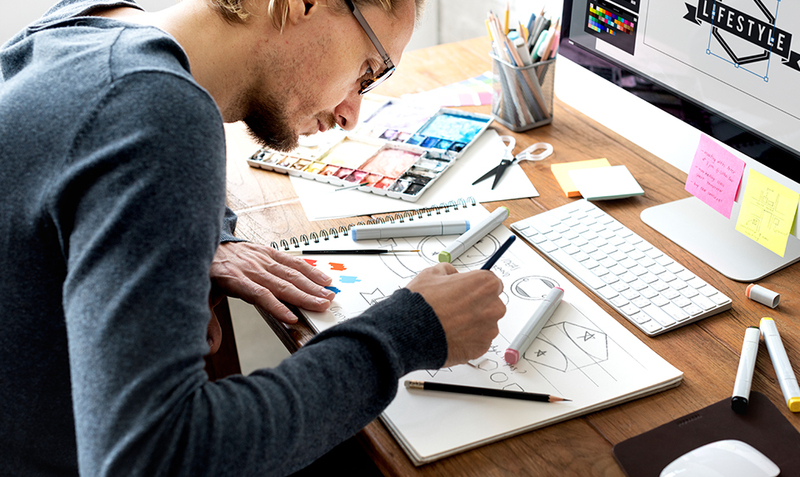 Kick-start your creative career with a graphic design degree. Find and compare below. What are the prerequisites for graphic design degrees? What will I learn if I study graphic design abroad? Studying graphic design abroad will develop skills in traditional hand work such as drawing and painting, as well as an understanding of artistic concepts like color balance and composition. In addition, the technological advances of today have created the need for a degree of proficiency in various design and photo manipulation software packages. Graphic design degrees, whether a Bachelor’s or Master’s, will focus on the most effective way to get messages across to the intended audience. The study of basic business principles is also valuable for success within the field of graphic design. Where should I study graphic design abroad? Degrees in graphic design are available in many countries; however, two of the most popular places to study graphic design are Spain and the United Kingdom. Both countries have a wide range of graphic design degrees available, (in Spain, studies are centered in the artistic city of Barcelona), providing students with degrees in the ever-changing and exciting field of graphic design. Many companies require graphic designers to work with interactive media, combining different visual effects and components from a variety of sources. Companies such as advertising agencies or design consultancies are devoted specifically to the industry, while other graduates may be in marketing, publishing, or other communications fields. Entry-level positions usually require at least a Bachelor’s degree in Graphic Design. These new designers often work under more senior team members, who interact directly with the clients.